Fulfilling the wide demands of clients, today, we are reckoned as the topmost supplier of KBK Light Rail System widely used at manufacturing Assly Lines. 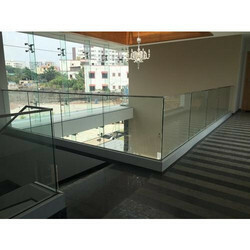 We provide wide range of Stainless Steel and Glass railings, which are designed as per the modern market requirements. 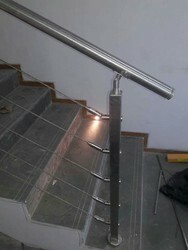 These railing are suitable for industrial and residential building. Available in different designs and styles, our range of railing can be customized as per client's specifications.